PaceHeritage Group launches new interactive website. PaceHeritage Limited (formerly known as Pace of Point Ravel Limited) started operations in 1995 as a neighborhood convenience store retailing ice cream for a major manufacturer in Lagos Nigeria. Our founders, Mr. & Mrs. Prosper .C. Okpue in one of their visits to Europe especially Italy, were inspired by the art and compassion Italian “gelato” (ice cream) shop owners put into the production of each unique flavor of Italian “gelato” (ice cream) , the ambiance and rich aroma of Italian espresso coffee and ice cream shops. This inspiration grew into the desire to develop ice cream desserts suitable to local tropical weather culture, taste and economics. 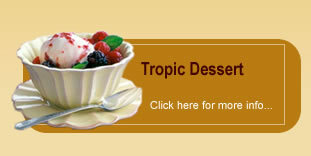 Pace established The Olde English Jazz Bar/Restaurant offering each meal with exotic ice cream desserts. The Olde English featured international jazz musicians and became a local Mecca for budding local jazz artists. Ice cream and jazz music lovers converged every Friday night at The Olde English to listen and dance to jazz and contemporary music. Ice Cream Cones were added to Pace offerings. 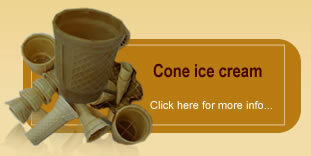 This was a complete departure from plastic cups used in serving ice cream. 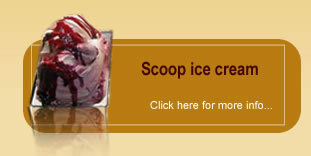 Demand for take out of Pace ice cream and cones grew. Pace moved to a 240 square meters factory facility at Lagos State Small Scale Industrial Estate, Matori Lagos using automatic machines with finest quality ice cream ingredients and flavors from leading Italian firms. In 2005, Pace expanded to its new 1.5 hectares factory location at Agbara Industrial Estate and secured NAFDAC (National Food & Drug Administration Control) Certification for all its products in 2006. The PaceHeritage inspiration became a dream, the dream became reality and to achieve the reality became unstoppable.